The Amigo Hero ACY Plus Lite Turnout Rug is manufactured using 900 denier Air Conditioned Yarn, a process which results in the fabric being up to 40% stronger than standard polyester often used in turnout rugs. 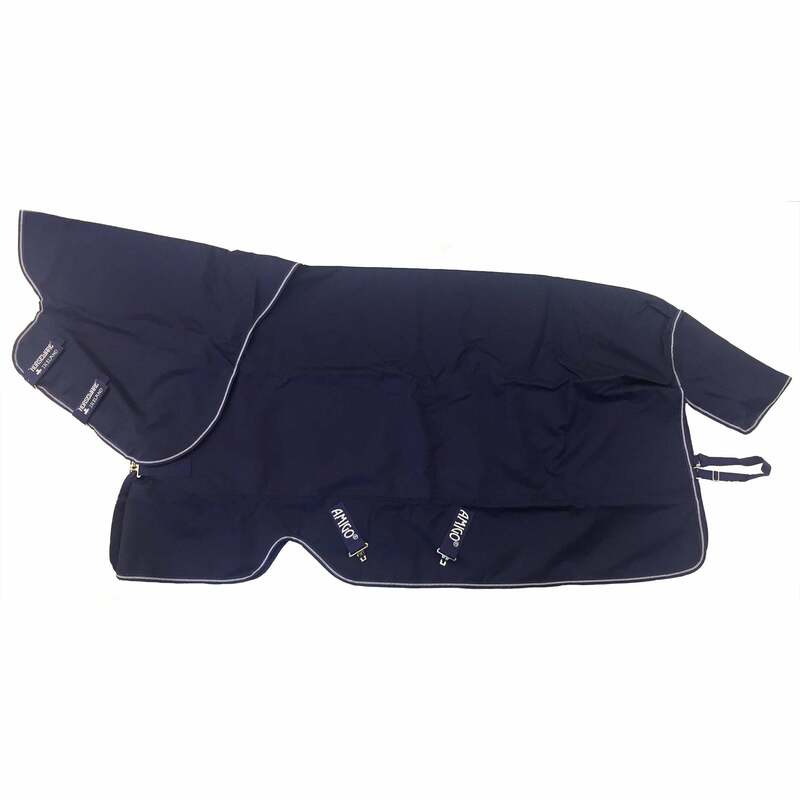 This handy no fill rug is waterproof and breathable, ideal for keeping your horse dry when the rain strikes in the warmer seasons. Classic cut with a detachable neck, front leg arches, double front fastening and cross surcingles, the Hero ACY Plus Lite is a useful addition to your horses wardrobe.